I am very pleased so far this year with the observation format and record keeping that Jessica and I have been using. Part of it was passed along at the AMI Refresher Course last year by Molly O'Shaughnessy and modified somewhat for our classroom. I have needed quite a bit of help in the organizational department to keep a solid record of daily/weekly observations and after many years in the classroom, feel more confident than I ever have with our record keeping system. My trainer Ginni said different things work for different people, and then described in a little detail her method of using index cards and recipe boxes to keep track of what was happening in her room. I've tried different approaches during the year, but feel most comfortable with what we're using now. For daily observations, we have form that we put on a clip board that we keep with us in the classroom during the day. On it I write the works I see used with deep concentration, general works chosen, issues, moments of distraction, lessons given and possible lessons for the future. This is what it looks like. Once a week or so, we also chart the work flow of the group during the 3 hours of uninterrupted work. This gives us a general idea of how the days are developing, and at what time we should be ready to give small or whole group lessons. The work flow chart is can also be found in the book The Absorbent Mind. On the clipboard also goes a sheet of possible individual and group lessons, taken from a master work plan that I keep in a bound book. I refresh this sheet about every two weeks adding to it as the weeks progress. I use it as a reminder of what possible lessons to give children who are free or need help making choices during the day. (this is what it looks like: weekly lessons form) At the end of the week, I track the lessons given to each child in the book, and this serves as my master individual work record. At the end of the week, I meet with Jessica and go over our observations sheets of that week. I used to file these observation sheets, but more recently I admitted to myself that I NEVER refer to them again and that I needed a more structured weekly summary to help me with lesson planning and general history of the work going on. So I made up a weekly summary sheet where we are filling in the most useful bits of information filed in a binder that I feel will be useful also for future reference. This is what it looks like. In the end, what I keep as permanent record are the master individual and group lessons book, the weekly summaries, and the work flow charts. It sounds like a lot of bureaucracy but in the end, I do feel like I have a grip on what's happened, and a useful tool for preparing for the future. I'd love one day to find and learn to use a digital record keeping device that could magically spit out a paper that details the work each child has done that week, and the lessons they've received and mastered with exact dates, and even suggest the lessons for the next weeks but until that magical Montessori app is developed and made free (heck, I'd even pay for it!) I will settle on my old fashioned whole bunch of semi organized papers. That magical app actually exists - Montessori Records Express. I cannot speak highly enough of this online record keeping tool. If you contact the developer, Dave Rabkin, he will give you a free hour long tour of the program and its capabilities. It does everything you mentioned and more! I have used this for two years now and will NEVER use anything else - it just works. And it takes about 20 minutes at the end of a day to update the records for the whole class. I've made my own computer record keeping on Excel. Works great. I can isolate and print out anything I want to. I'm going to add your weekly summary and see how that works for me too! It took me a month or so to teach myself how to use excel (mostly you -tube videos) and I had a model from an elementary class that I revamped to casa. I keep records ongoing on the computer all day long. My school started using a new service this year called MontessoriBuddy.com. They have a lot of useful classroom management features, but the Montessori record keeping functionality is my favorite. It's saves a lot of time for us in the classroom and the parents absolutely love the improved communication. 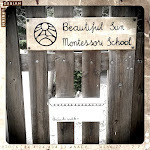 If you are seeking online Montessori record keeping, I would definitely check check out MontessoriBuddy.com. Have you checked Montessori Clarity, easy to keep records and so much more.